Number 3 is a bright and spacious end of terrace house, on a corner sight. This property is in the very popular Heath Lodge development. There is a large living room with double doors leading to kitchen/dinner. The expansive kitchen/dinner has French doors to enclosed rear garden and also has a pantry for extra storage. The kitchen cabinetry, is modern and of a high standard. Upstairs, there are 3 bedrooms. Two double and one single. The master bedroom has an en suit. The family bathroom has good proportions and a white bathroom suit. The landing has a charming nook, ideal for reading, or even a mini office station. The house offers a fantastic array of storage, with built in robes and storage rooms on landing, hall and kitchen. The property has gas fired central heating, UPVC double glazing throughout. This makes the house very economical to run. 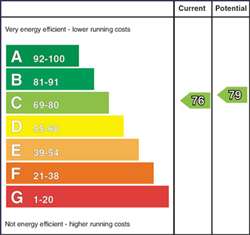 The EPC is rated at 76. There is an enclosed garden to the rear and a designated parking bay to the front of the property. A fantastic family home, an opportunity not to be missed. Modern 3 bed end of terrace house. 3 bedrooms, master with en suit. Corner sight with enclosed rear garden.